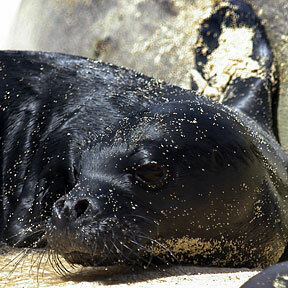 PRESIDENTIAL SANCTUARY: Hawaiian monk seals are an endangered species with a population of only about 1,300 living primarily in the Northwestern Hawaiian Islands. President Bush is set to create a huge isle sanctuary in the Northwestern Hawaiian Islands. ASSOCIATED PRESS / SEPTEMBER 2005. The Northwestern Hawaiian Islands will immediately receive maximum protection. Tenants are told they will be able to buy their homes. From basic ball caps to custom-made Panamas, a gift of shade nicely covers Father's Day. She leaves Sea Warriors for personal reasons after two national crowns. Some people remain unhappy with the state's approach to redeveloping Kakaako Mauka. A federal survey of voluntarism has ranked Hawaii 44th in the nation among the states and the District of Columbia.